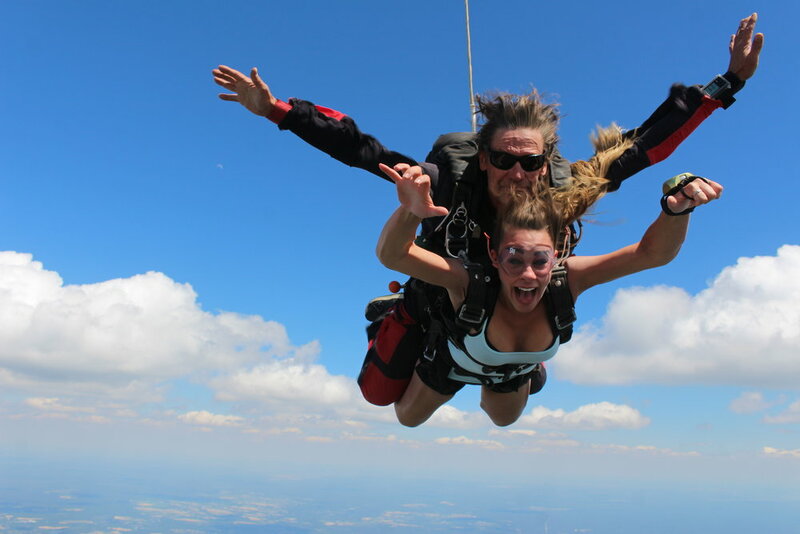 Skydiving videos and skydiving photos are a perfect add on to your skydive. Not only does it make your jump more fun, it also lets you relive it again and again after you land! Get the video package. It is so much more than just a video. Here's what happens when you get the video: a third person will jump with you and your instructor to record your jump from the outside perspective. It's a professional freefall videographer (a job you never knew existed!) who has two cameras on his helmet. One will be recording video, and one will be taking photos. First, you get to play with another person in freefall. 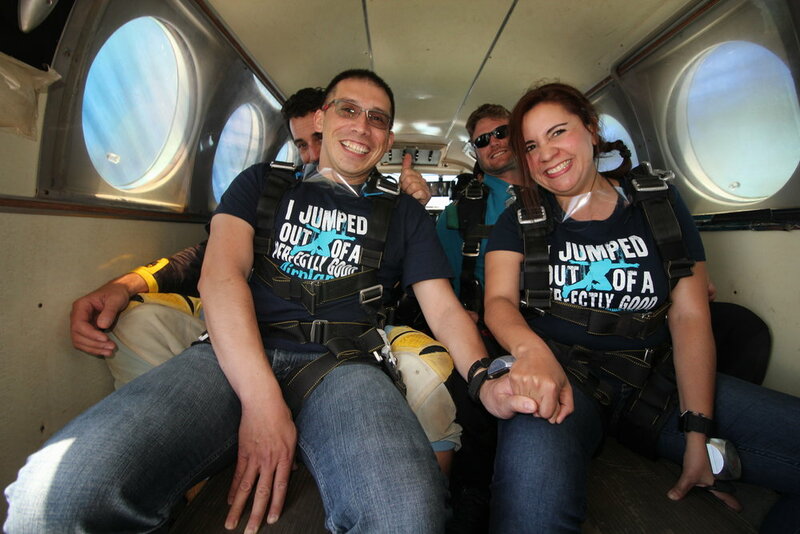 Trust us, it's a really cool experience that adds a whole new dimension to your jump. We can talk a lot about this part, but really you just have trust us - jumping is way cooler with other people by your side. Second, freefall videos are INCREDIBLE. The emotions. The views. The adrenaline. The whole experience will come back to you and your heart will beat faster every time you watch it. Again and again! Third, you get photos as well! 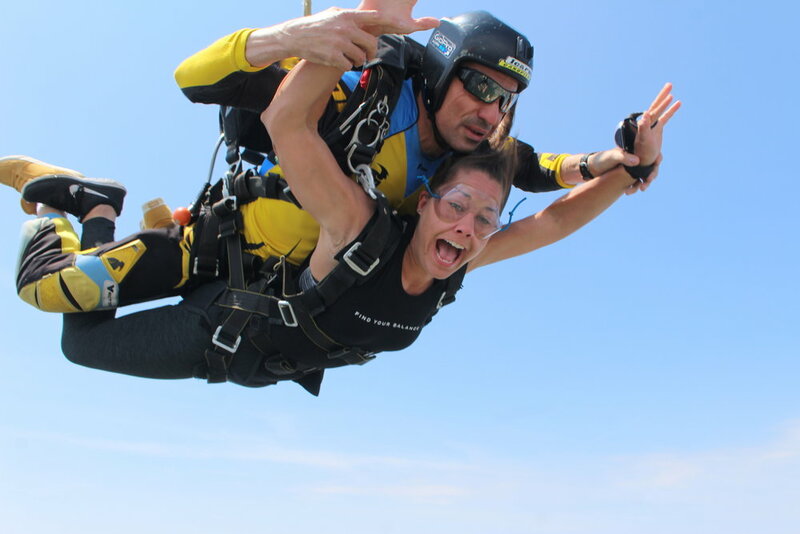 A shot of you stepping out of an airplane? You NEED one. A photo that encapsulates the wind in your face, the spirit of freedom and overall badassery. Pin it at your work place and start counting the jealous gasps. Fourth. Family and friends. They want to see you do it! They've always wanted to skydive too, even though some will never admit. Your video will give them an adrenaline rush, and they'll totally get a kick out of it. Do it for them. Fifth.. Ask anyone who jumped before. Ask a licensed jumper. Ask a first time jumper. What's their number one advice for someone who's about to do it? Guess? GET VIDEO. You will be thankful that you did. We dare you to find one person who will tell you otherwise! 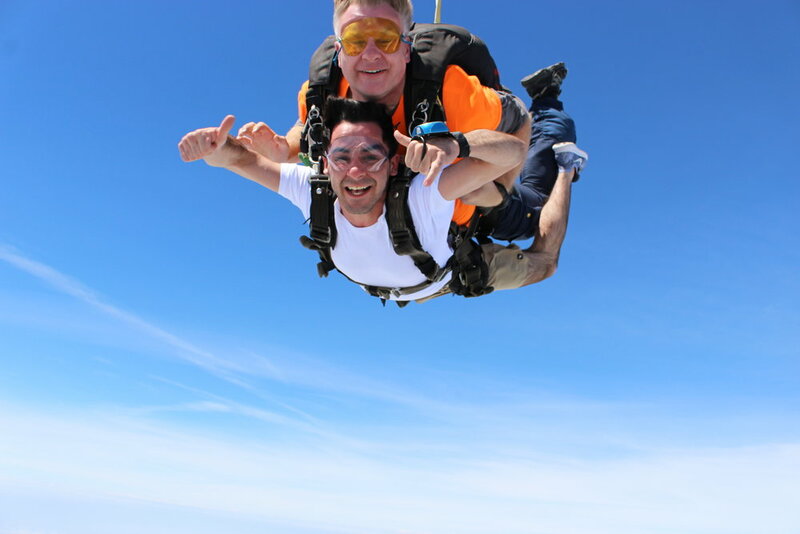 We know you're already convinced, but here is some sample footage and photos to get you itching to skydive right NOW!